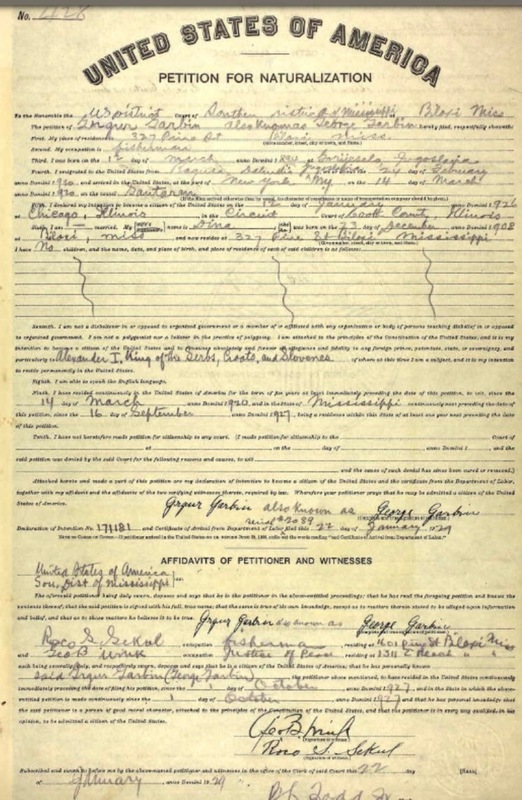 The Daily Herald,“Weekly List of Deeds Filed, April 20”, 1912. 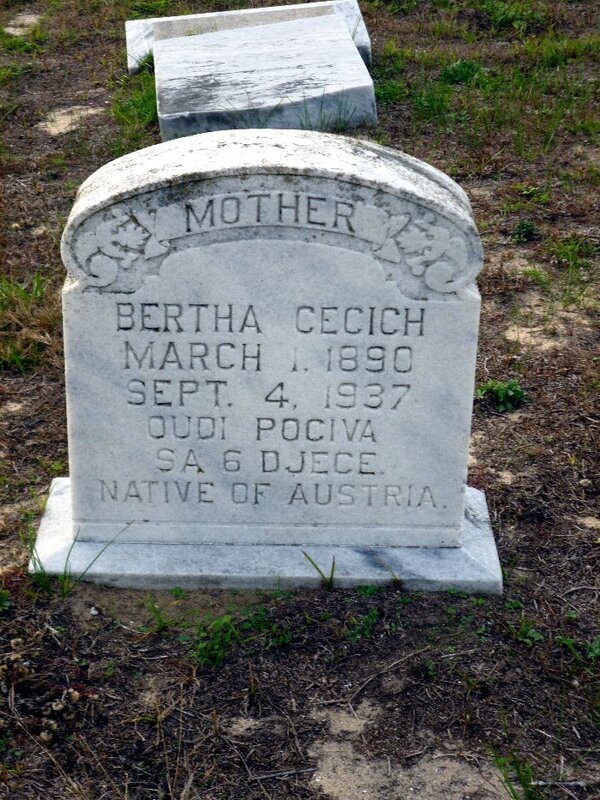 The Daily Herald, “Mrs, Cecich dies”, September 4, 1937. The Sun Herald, “Peter Frank Cecich”, June 10, 1995. Grgur Garbin and Danica Pavlov Garbin were the parents of five children: Peter M. Garbin (1930-1963); Dr. Frank George Garbin (b. 1931) m. Nitza Maria Betancourt (1934-2010); George Garbin (1936) m. Lora Lee Poulos (b. 1942); Joseph Garbin m. Lonna Dale Brady (1940-2009); and Marilyn Ann Garbin m. Earl Ray Carlpenter Jr.
Dr. Frank G. Garbin Sr. [1929-2018] of Ocean Springs, passed away on Tuesday, November 20, 2018. Dr. Garbin was a longtime resident of the Mississippi Gulf Coast. 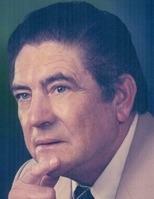 He was born and raised in Biloxi and graduated Notre Dame High School in 1947. After graduation, Dr. Garbin attended Spring Hill College in Mobile, Alabama where he earned his Bachelor of Science Degree in 1951. In 1955, he graduated from the University of Tennessee College of Medicine with his Doctorate in Medicine. He completed a rotating internship at St. Joseph's Hospital in Memphis, Tennessee; it was during this time that he met his wife of fifty-three years, Nitza (Betancourt). Following his time in Tennessee, Dr. Garbin served in the United States Air Force as a General Medical Officer from 1957-1959. While serving, Dr. Garbin and his wife Nitza had their first two children, Nilda and Donna. From 1960-1964, he completed his General Surgery Residency at the San Juan City Hospital in San Juan, Puerto Rico. While in Puerto Rico, Dr. and Mrs. Garbin had their next two children, Sharon and Frank Jr. Dr. Garbin and his family moved back to Mississippi in 1964, where he lived for the remainder of his life. It was in Mississippi that the last two Garbin children, Paul and Paulette, were born. During his free time, Dr. Garbin loved to spend his time outside, preferably on the water fishing. Frank was a loving father, grandfather, and great-grandfather, and he will be missed by all that knew him. 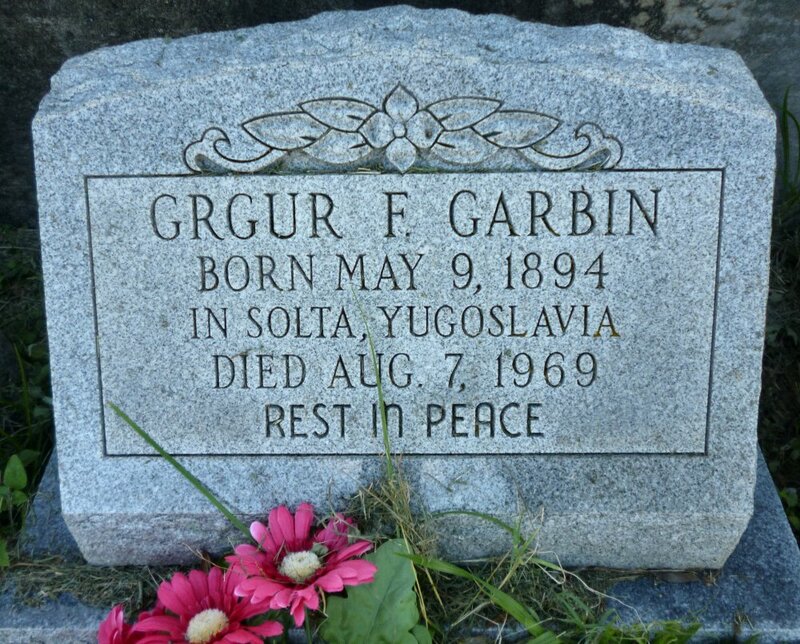 Dr. Garbin is preceded in death by his wife, Nitza Garbin, his parents, Grugur and Danica (Pavlov) Garbin, and his brother Peter (DeeDee) Garbin. Survivors include his brothers, George Garbin and Joseph Garbin, and his sister, Madelyn (Garbin) Carpenter. He is also survived by his children Nilda Webb (Kevin), Donna Corder (James), Sharon Klein (Lee), Frank Garbin Jr. (Faith), Paul Garbin (Marie), and Paulette Dawkins (Craig), his sixteen grandchildren, and six great-grandchildren. The family of Dr. Garbin wants to extend a special thanks to Katrina Campbell (also known as "Skinny" by Dr. Garbin), as well as Mary Lee, Janice Powell, Janay Campbell, and Lisa Rials. This army of angels loved Dr. Garbin, and he loved them like his own children. The Daily Herald,“Garbin-Betancourt”, January 7, 1957. The Daily Herald, 'Peter M. Garbin', September 27, 1963, p. 2. The Daily Herald,“Grgur Garbin”, August 8, 1969. The Sun Herald, “Danica V. Garbin”, January 13, 1996. The Sun Herald, “Lonna Dale Brady Garbin”, April 11, 2009. The Sun Herald, “Nitza Maria Betancourt Garbin”, April 28, 2010. The Sun Herald, “Dr. Frank G. Garbin”, November 23, 2018-Novemebr 25, 2018.